This month, we are featuring Dave Watkins, 82, from Polk City, Florida. As of Sept. 25, he had ridden 10,000 miles and is still going strong. Dave, a former USA Cycling CAT II cyclist, ran the Boston Marathon four years. I began serious cycling in the early 70s when a faculty member at a small college in PA. It began with a Schwinn Paramount and a collegian race on the bike at Penn State University. Crashed in that race but recovered to continue racing and became a Cat.II cyclist and qualified for three years to ride in the Masters National Championships. Each year, for personal reasons, I was unable to compete in the championships. Very disappointing to this day because I had competed well against each of the winners in numerous races. I ride every day and decided to take on a challenge beyond simply riding to be able to be ride with cyclists 40/50 years younger than me. How have you incorporated commuting by bike/getting in the miles for the challenge into your daily life? I am retired and no longer have to head to an office or workplace. My schedule every day includes a 25/30 mile ride beginning at midnight. After daylight, there is a leisurely ride with my wife who now rides an e-bike and can ride at 20 mph. Late afternoon, I’ll hop on the bike for a 7/10 mile ride before a glass of wine and an IPA beer. You have reached 10,000 miles. Congratulations! That’s quite an accomplishment. What’s behind the drive to keep on going? Meeting a personal goal is important. Staying healthy is so important at my age. Being a competitor is a driving force. I played baseball during college at Penn State where we played in the finals of the College World Series. How did you feel when you reached the goal of riding 10,000 miles? Were you excited/relieved/surprised? This is not the first year I have met the goal of 10,000 miles. I love looking at my Strava data each day to see how many miles I have for the day, week and year. Love to see how well my Strava friends are doing with their rides. The kudos I receive help motivate me. What kind of feedback have you gotten from friends or other cyclists? The feedback from fellow Strava cyclists has been incredible. Also, I rarely post on Facebook but whenever I reach the 10,000 mile goal I make a post on Facebook thanking all who have contributed to meeting the challenge possible - my wife, Strava friends and cyclists with whom I ride in group rides. Total Miles to Date: Target: 5000 miles (halfway point!). . . My mileage: 4,899 (slightly behind). Challenges: honestly, none this month! Riding is going really well right now! Highlights: Now that it is fully summer here, I was able to restrict my driving substantially. I only drove my car 9 days this month (and ironically, half of those days were for bike events like the DCR, HR stages 1 and 7, and BTWD!). THIS MONTH’S QUESTION: What changes have you noticed both physically and mentally six months in to riding 10,000 miles? I am becoming car-resistant, almost to a fault... Getting in the car to drive somewhere is such a negative for me right now that I am really picky about what commitments I make and whether I can get there by bike or not. I guess you'd say after 6 focused months of using the bike as much as possible to get the mileage in, I'm even more bike-obsessed than I was before this challenge began ! PS - Here's a fun piece of footage from my Cycliq Camera with Strava data overlaid, for my ride through Garden of the Gods after we came down from Pikes Peak. Goal by end of June/halfway through 2018 = 5,000! This month we would like to feature Tom A. from Longmont, CO, one of the #10kin2018 members. I ran into Tom, a former client, and his wife while out on a ride over the weekend. I have enjoyed cycling in one form or another most of my life. My wife, Nanette, and I started using cycling for fitness about 10 years ago. At the urging of friends, I purchased a modern road bike in 2012. The road bikes have opened up so many new opportunities to ride and meet new people. How did you find out about the challenge? I believe I first heard about Megan's 10,000 mile challenge from her Twitter feed. It sounded crazy. I hesitated, but then decided I would go for it in order to get in shape for summer. Good weather and good health this spring allowed me to get a good jumpstart on the goal. The Strava 10K mile in 2018 challenge came at a good time for me. It provided additional incentive to get our there and get in shape for the Ride the Rockies this June. Nanette and I have worked the bike rides into our daily lives. We ride for short errands, shopping and to meet ups with our daughters & grandsons. I end up with a lot of short mileage rides. I commute to work when the roads are dry. I take a lunch ride with friends whenever I can. What are the benefits to riding your bike/joining the challenge? I find starting the day with a bike ride to work kick starts my brain activity! I really miss it when I am unable to get my morning ride. Total Number of Strava Group Members: 277 members – It’s not too late to join the group. We have had more people join in on the fun since our last update. Challenges: I tackled too many work/personal life projects all at once in March and found myself putting rides on the back burner (sounds like February?) as these projects would ramp up ... There were a few days my back was really bothering me and I had to skip rides then as well. 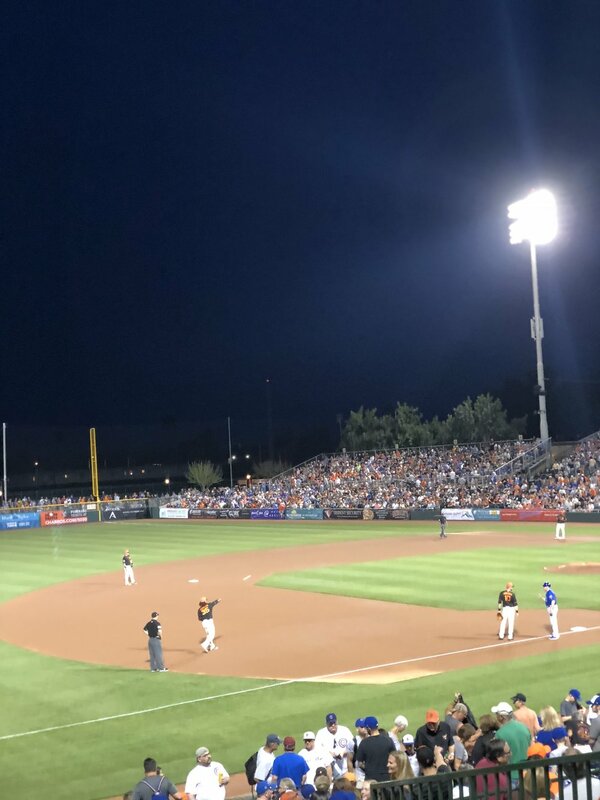 Highlights: I rode my bike to amazing performances, including: Yamato Drummers, Poncho Sanchez & His Latin Jazz Band, and a spring training game (Giants vs Cubs). In addition I perfected my bike commute to get more dog food, to load up on groceries at Sprouts, and even to pick up a freshly-steamed suit jacket! March also featured several really big mileage group rides, where we enjoyed amazing views, roads, and experiences- zero flats, zero issues with motorists, only 100% fun and great conversation too! THIS MONTH’S QUESTION: How do you motivate yourself each month to meet your end goal of 10,000 miles? When I set a goal I set it with the intention of seeing it through. As frustrated as I have been at times to fall behind- so rapidly after just a few days off the bike - It fires me up even more to go out and tackle some big rides to catch back up! This is not the kind of goal where you can leave it to the end of the year to try and play catch up -the months of November and December won't be the time to make up miles! So I am fired up now, this spring, to get on top of the miles and stay on track as summer approaches! Need an extra push for the month of April? It's #30daysofbiking month -where the movement encourages participants to ride their bike every day -regardless of distance! Give it a shot!